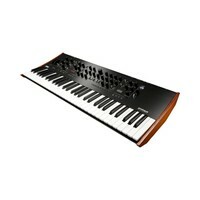 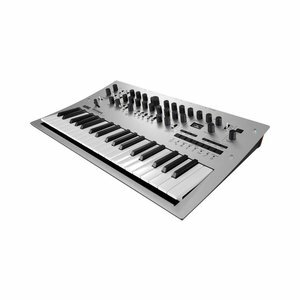 The Prologue-16 is a polyphonic analog synthesizer with 16 multitimbral voices. 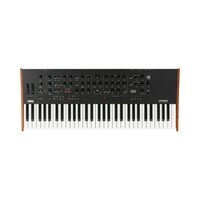 The Prologue-16 is a polyphonic analog synthesizer with 16 multitimbral voices. 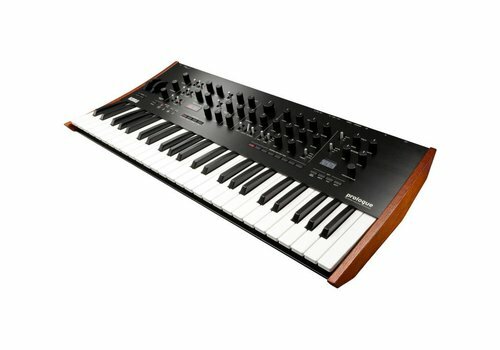 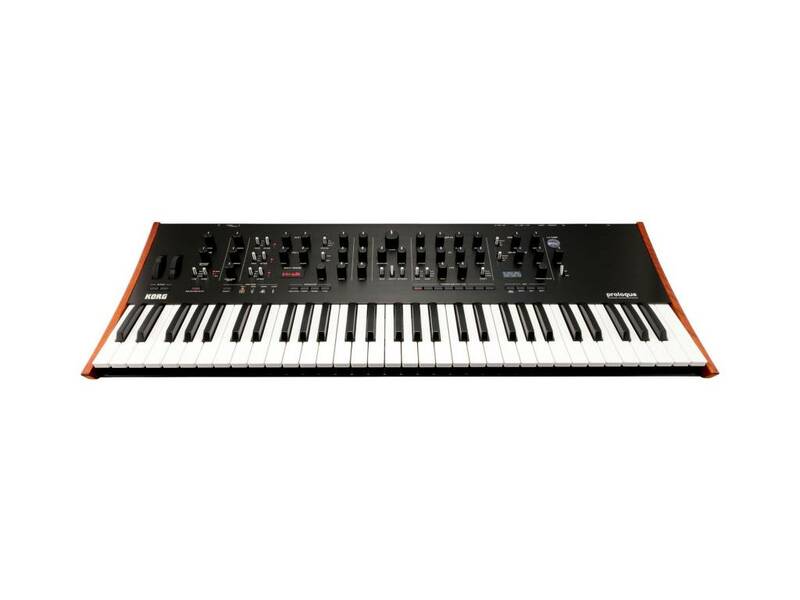 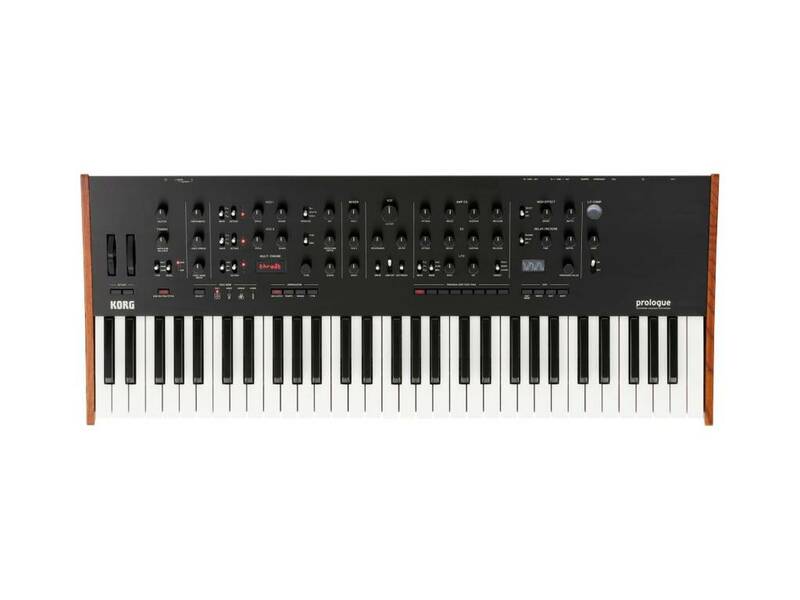 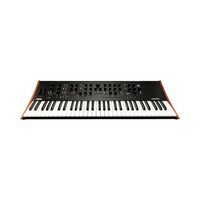 KORG’s analog synthesizer development in recent years has culminated in the prologue, which was designed using 11,000 discrete electronic components. 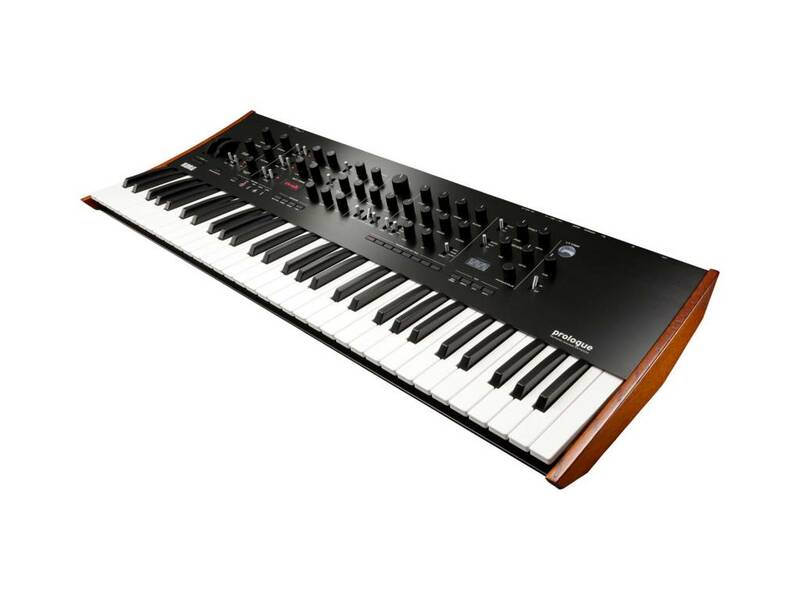 Although the prologue is a flagship instrument, it still retains the inviting feel and accessibility of its predecessors. 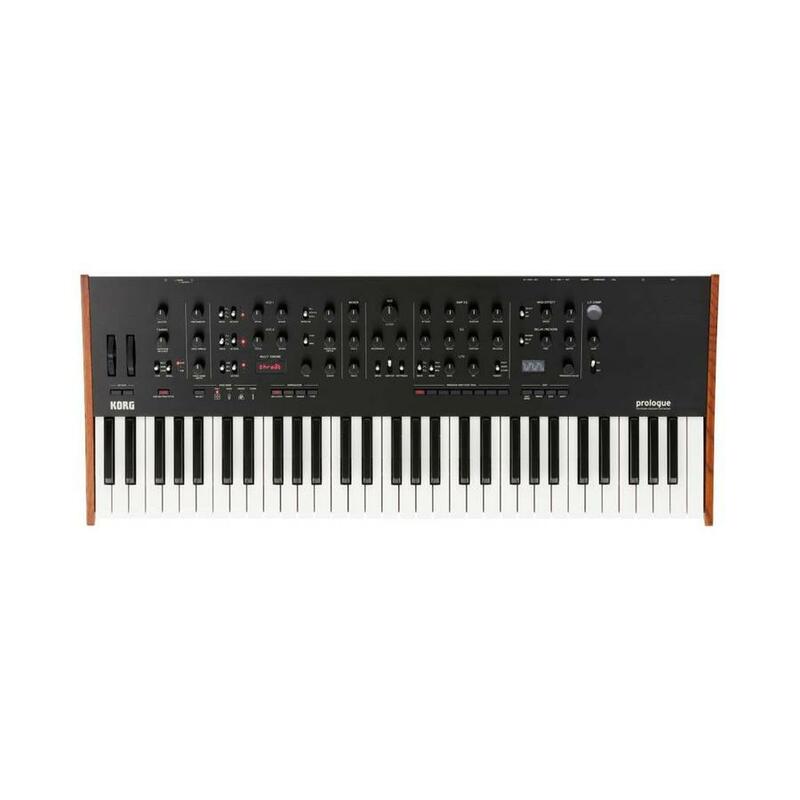 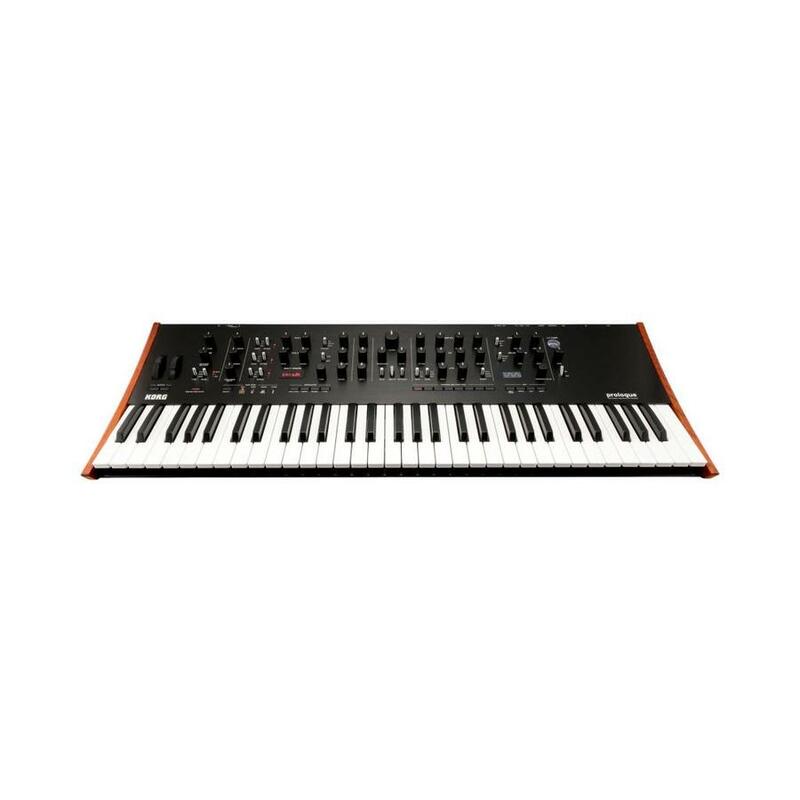 It features a pure analog path, impeccable sound quality, stunning presence unlike any other poly synth, and the same intuitive interface as the minilogue and monologue, granting you intuitive access to a vast world of analog synthesis. 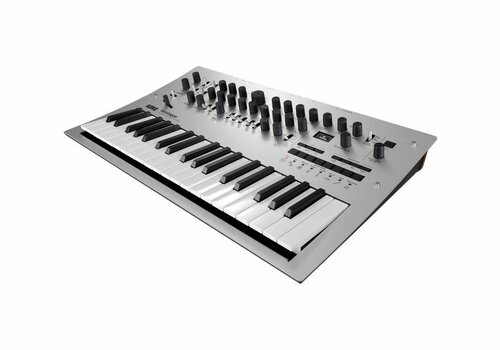 Dimensions (W x D x H) —874 mm x 348 mm x 118 mm/34.41" x 13.70" x 4.65"